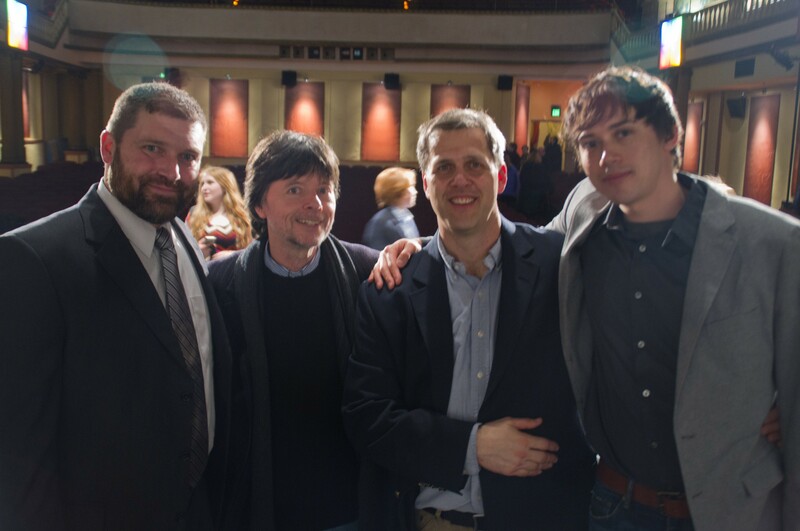 As we reported this week, Ken Burns' new documentary, The Address, made its theatrical premiere at the Latchis Theatre in Brattleboro on April 2. The Latchis, located near Burns' home in New Hampshire, has been the site of several premieres of his films. But for this particular documentary, the Vermont connections run much deeper. The Address documents a unique annual competition at the Greenwood School, a small school in Putney for 11-to-17-year-old boys with learning differences. 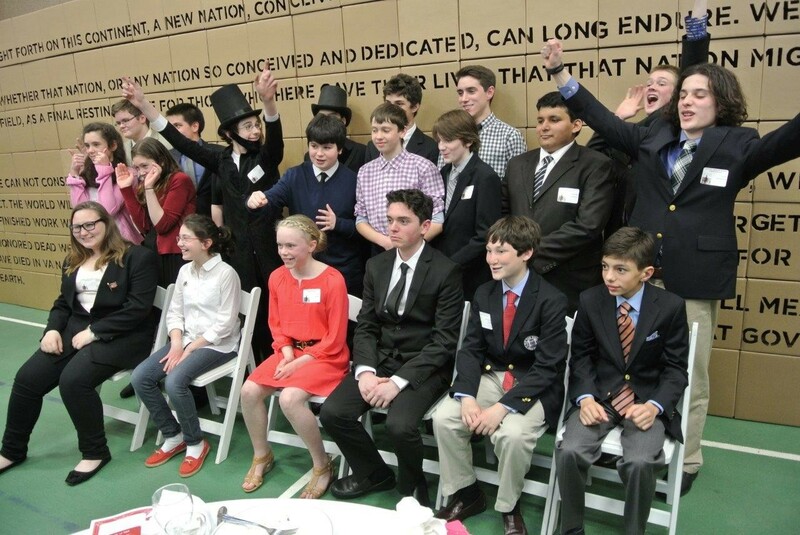 Each year, Greenwood students study and learn to recite the entirety of Abraham Lincoln's Gettysburg Address, and perform the speech at an end-of-year ceremony. Burns, a frequent judge at the competition, was inspired by the students' determination, which became the subject of his latest film. Several members of the Greenwood community were kind enough to share with Seven Days their photos from the film's premiere. 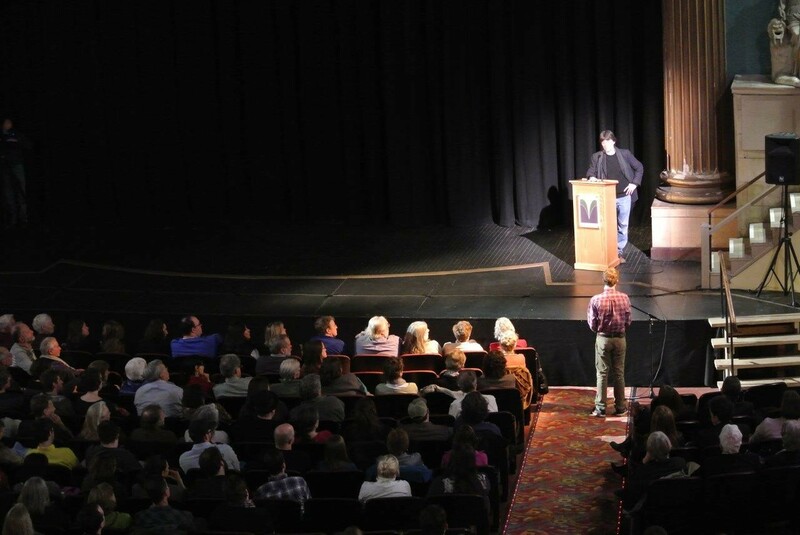 Ken Burns listens to a question from an audience member at the premiere of The Address at the Latchis Theatre. 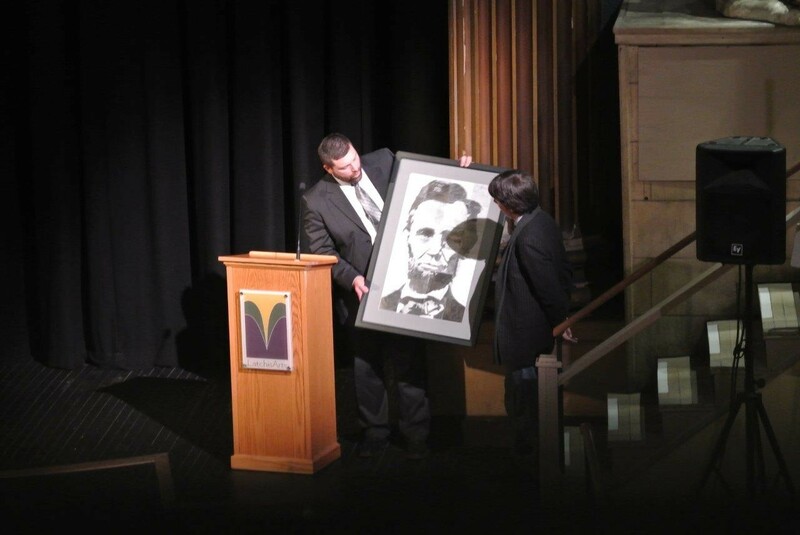 Headmaster Miller presents filmmaker Burns with a drawing of Abraham Lincoln.